I keep visiting Hyderabad frequently for office work and always stay at Fortune Hotel on Banjara hills Road Number 12. 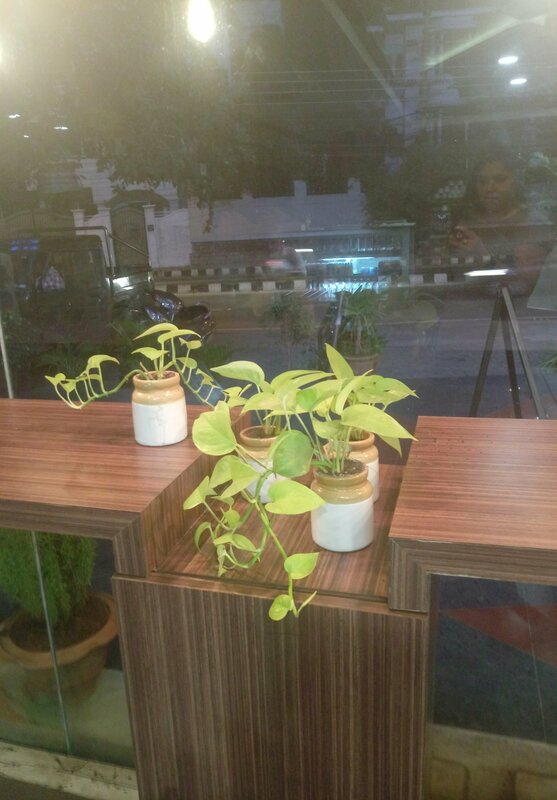 This organic cafe is just 100 Mtrs from the hotel and I had been to this place while it was being done but this time I tried dinning in here for the first time as I landed at 9 and was in no mood to have hotel food, so just walked into the cafe at 10:30, since this place is adjacent and I had been planning to visit them from a very long time. This place is next to a Hyper store which sells Organic food. 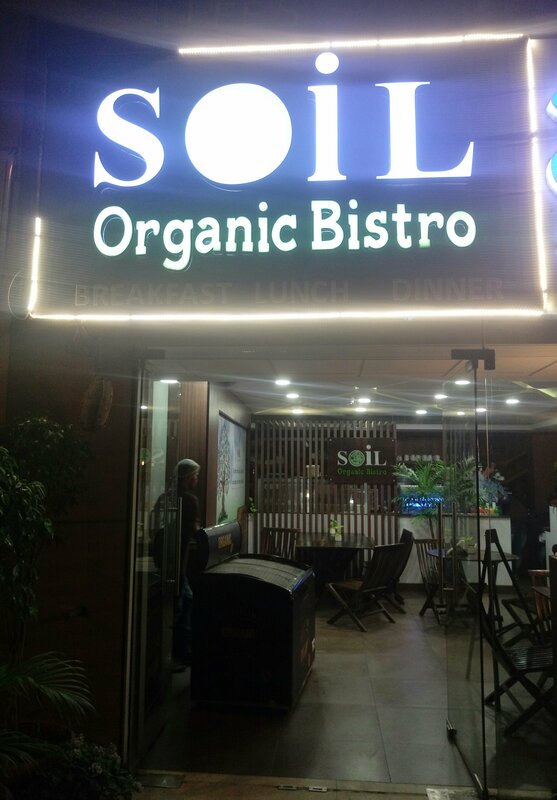 And this cafe and organic store both are owned by same guy Mr. Shravan. Now since this was my first visit, thought of picking something that I had never had before. 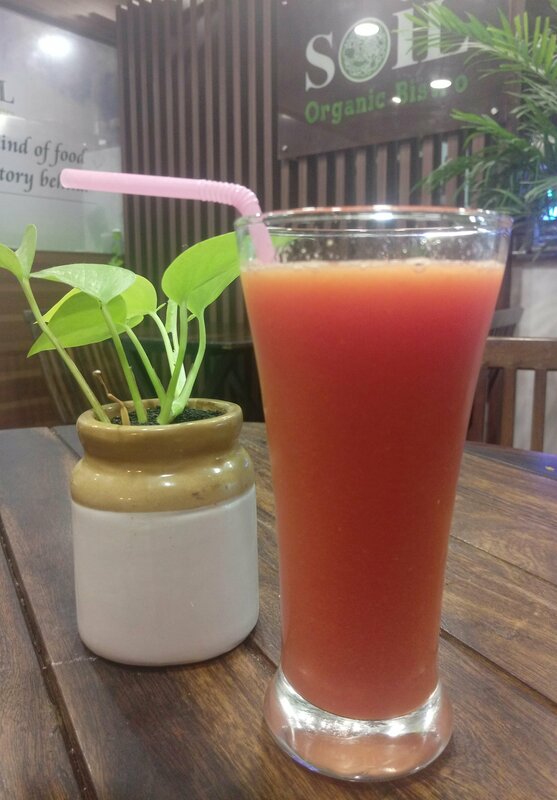 My first pick here was a papaya juice and this was the best ever papaya I had in form of a juice. Pulpy, fresh, sweet and just refreshing. I had papaya shake earlier but never had a Papaya juice. And while we all know the benefits of Papaya, I could literally feel it. This was from the section of cold slow pressed juices and are 100% Organic , gluten free, dairy free ,free from any other additives. Due to this process the fruit juices retain 4 times more absorbable nutrients. 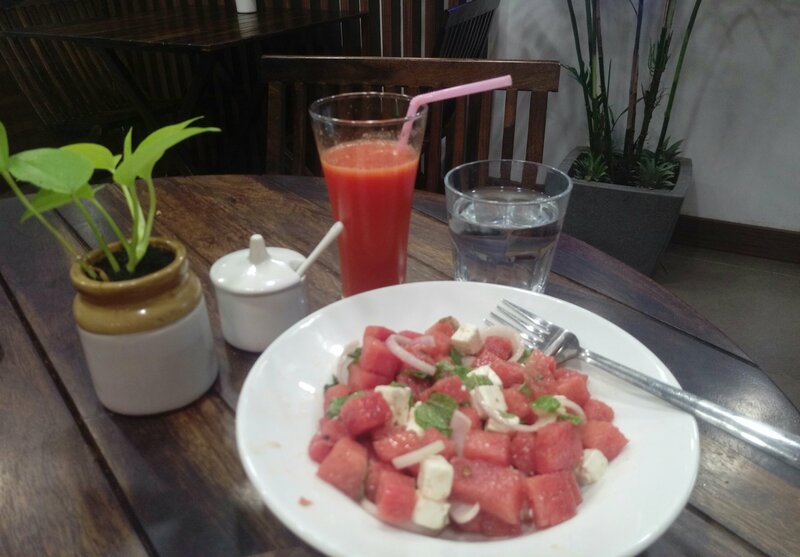 Watermelon feta is one of my all time favorite pick for salads, so ordered one here too. Though the feta didn’t tasted as good but I think it was the organic taste. At times when you have not had organic stuff the taste seems different then usual. But could not understand the onion rings on this fruit salad. 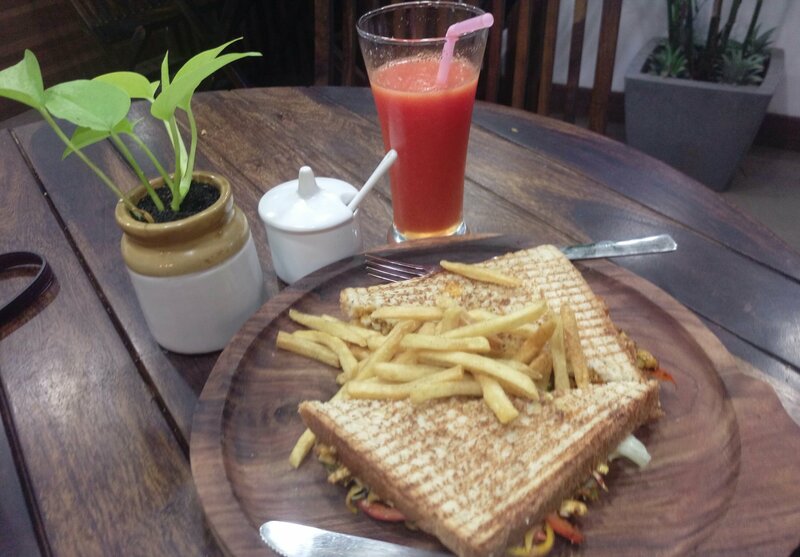 A sandwich was next on my list to eat, so ordered a Cottage cheese grilled sandwich. Served with super crispy French fries this was more than filling. But since I have already had the salad and the juice was also very thick and filling. 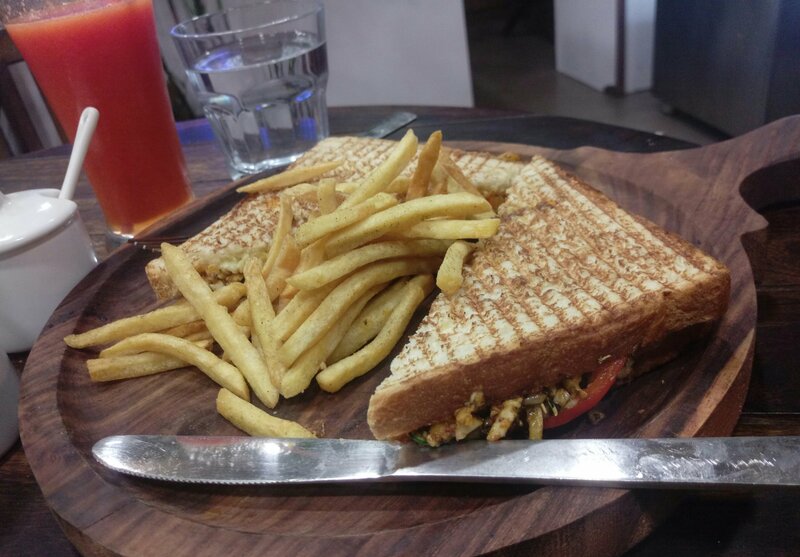 You can see the chunks of Paneer literally coming out of the sandwiches. So could only have one piece and have to get the rest packed. 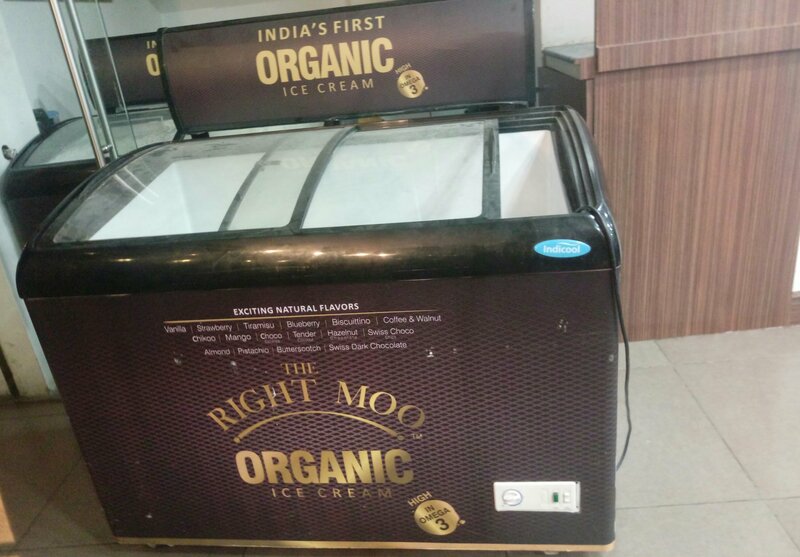 While I was making an exit saw a couple came and just ordered for a ice cream that’s when I realised these guys are the India’s first in making organic ice creams. I so wanted to have it but tummy has already given up. Next time for sure I am going to try their ice creams.